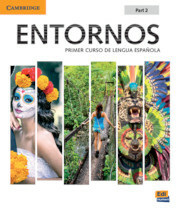 Entornos, an introductory Spanish course, helps you develop the language you need to connect to real-world, practical issues. Entornos supports communicative, empowered learning. Inductive learning helps students deepen their understanding of language through discovery and inference. Real-life learning gives immersive, relatable scenarios, and provides a framework for communication. Learning strategies reinforce learning as students understand the processes and methods that work best for them. Social and emotional relevance increases students' motivation to learn a language, boosting acquisition and retention. 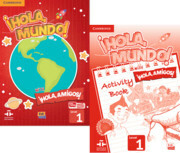 Cultural and intercultural learning builds global awareness while developing authentic communication skills.